As you age, you will notice a number of changes with your body. Sagging breasts is just one of the things that you can notice as you get older. While the cause for this can be a combination of the skin covering the breast to lose elasticity, pregnancy, changes in hormones and changes in weight, there are ways you can slow or perk up the breasts as you age. Eating a healthy diet as well as the right exercises can help prevent your breast from sagging even more. What is the best exercise for sagging breast? Read on to learn exercises you would like to do to improve the look of your breast. Chest squeeze exercises help strengthen both the muscles of the shoulders as well as the chest. Begin by sitting in a chair with the back straight. Hold a medicine ball at chest level and squeeze the ball. You should feel pressure in the chest as you extend the hands in front of you. Keep pressing the ball until your hands are straight, then bring the ball slowly back to your chest. Repeat ten times before taking a break and repeating again. You will need two five-pound dumbbells for this exercise. Begin lying on your back on the floor. With a dumbbell in each hand, bend the elbows at a 90-degree angle. Keep the upper arms in line with the shoulders, then begin to extend the arms up towards the ceiling. Hold this position for five seconds and then slowly bring the arms back down. Repeat this 20 times. 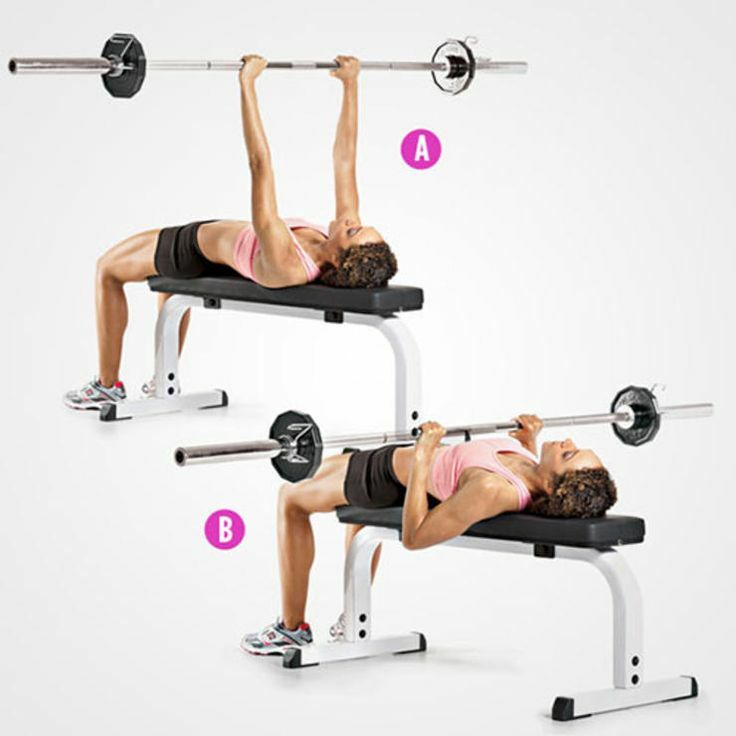 Chest fly exercises will help firm up breast and give them more shape. This exercise can be done in a sitting or standing position and will require dumbbells. Begin with your back straight in either a sitting or standing position with a dumbbell in each hand. Bend the arms at your elbows out at your sides so the hands are in a straight line with your shoulders. Bring your hands towards the front so the elbows are pressed into each other. Hold this position for five seconds before slowly bring the arms back to the sides. Repeat this exercise for sagging breast 15 times. Push-ups are a classic exercise that will help firm breast and strengthen the muscles of the back. Begin lying on the floor with your face towards the floor. Place the hands adjacent to the armpits with the palms flat on the floor. Begin by slowly raising yourself up off the floor until you begin to feel a strain. Then slowly lower yourself back to the floor. Repeat these push-ups for as many times as you can. As you do them regularly, you will able to add more each day. This exercise will allow you to shape your breast and is considered one of the best exercises to reduce sagging breasts. Begin at a standing position facing a wall. Place your hands on the wall so the palms will bear your upper body weight. Begin to apply pressure to the palms as if you were pushing the wall away from you. Hold this pressure for 15 seconds and then relax. Repeat 10 times. This exercise will also require a dumbbell. You will begin at a standing position with the feet shoulder-width apart. Bend the knees slightly and hold the dumbbells in one hand over your head just above the shoulder. The arms should be bent at the elbows. Raise the dumbbell until your arms are straight above your head and hold for a few seconds. Lower the dumbbell back down and repeat. The T-plank is not just a great exercise for sagging breast, but is also great to tone the muscles of the back, arms and the legs. Begin in a push-up position with the legs are a little more than hip-width apart. Start by lifting the right hand towards the ceiling so the left hand supports your body weight. Your body should make a T shape. Hold the position for 15 seconds and then slowly return to your push-up position. Repeat ten times on both the left and right side. 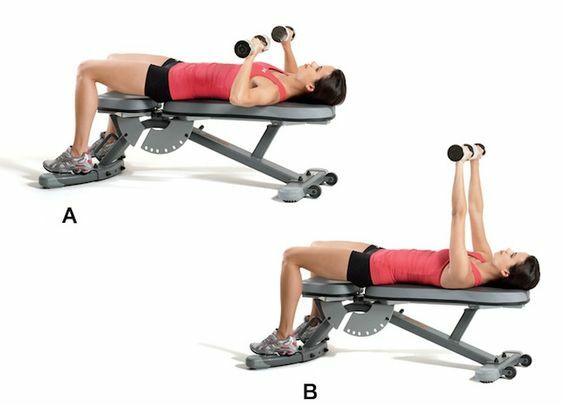 You can use dumbbells or a bench press bar to perform this exercise and you can either have the bench flat or at a slight incline. Begin by sitting or lying on the exercise bench. Hold a dumbbell in each hand with the arms bent at the elbows and in line with the shoulders. Press your hands up towards the ceiling until the arms are straight, then slowly lower them back down. Repeat 12 times. Swimming is a great cardio workout, but it is also great for giving your chest a perk up. There are a number of strokes you can use during a swimming workout, but the breaststroke seems to be the most effective to firm up your breast. Since this swimming is a workout that primarily utilizes the chest muscles, you will see your breast firm up without having to make time sweating at the gym. Yoga is a great way to relieve stress and tone your whole body but there are some specific poses that make yoga a great exercise for sagging breast. Asanas targets more of the chest muscles which will keep the tissue in the breast firm. Other great poses include the shoulder stand, headstand, and inverted pose. You can watch this video to learn natural remedies like foods for dealing with sagging breast. Can Exercise Bikes Help You Lose Weight?